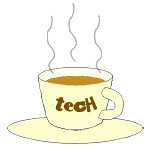 Tech news « Tech bytes for tea? The actual press conference for IFA 2017 in Berlin (1-6 September) will be held at 11am today in Lisbon, Portugal. Stay tuned for the excerpt and press release. Stay tuned for the outcome of the global press conference for IFA 2017 in this slot. I will update this posting once it’s out. So IFA 2017 will see the emphasis put on Brands and focus placed on Innovation. Dr. Christian Goke, CEO Messe Berlin leading the discussion panel during the Global Press Conference. The press release will be appended below once I receive it. Thomson Reuters continues expansion of its global labs network by opening its sixth in Singapore. Its first lab in Asia, the Singapore Data and Innovation Lab will serve customers across the Asia Pacific. The Thomson Reuters Lab in Singapore will collaborate with the government, customers, tech startups and universities to build partnerships and create innovative products and solutions for professional markets throughout the Asia Pacific region. Founder Sir James Dyson aims to nurture “exceptional” engineers focused on cutting edge manufacturing, software, and robotics in spare-no-expense laboratories. Minister for Trade & Industry, Mr S Iswaran, with inventor & chief engineer Sir James Dyson launching Dyson's new Singapore Technology Centre at Science Park. The research centre spans the entire 3rd floor of the new Ascent building. James Dyson today opened the doors to Dyson’s new Technology Centre in Singapore, in the presence of Minister for Trade and Industry, S. Iswaran. Dyson’s Singapore Technology Centre is being launched with the backdrop of Singapore’s Smart Nation vision, and a world where technologies are increasingly intelligent and connected. “As the way people shop is changing so to is our supply chain. The Dyson Control Tower connects our entire supply chain. Using the latest technology, it tracks real time machine reliability and delivery performance ensuring the highest quality products reach our customers on time,” said Jim Rowan, Chief Operating Officer, Dyson. Photo credit: Dyson. Dyson is investing £330m in its future in Singapore. “It is no coincidence that we are deepening our investment in Singapore to achieve our technology ambitions. Right here, some of the world’s brightest minds are working on artificial intelligence, machine learning, robotics, fluid dynamics, vision systems to bring hardware, electronics and software together. Good software allows Dyson products to actually improve over time and gives them intelligence to understand and respond to their environment”, said Sir James Dyson, Founder, Dyson. The new facility has the latest development labs, bringing together the latest hardware and software expertise. Dyson plans to grow the Singapore-based engineering team by 50 per cent. Located in the heart of Singapore’s start-up community and next to the National University of Singapore, the new Centre’s engineering teams will focus developing new technologies for the future. Dyson invests £7m a week in research and development and employs 3,500 engineers and scientists globally. It has 1,100 people in Singapore split between its Technology Centre at Science Park I and its advanced digital motors manufacturing facility at West Park. Dyson is seeking highly skilled engineers across a broad range of engineering disciplines including connectivity, motors, sensors, electronics, robotics, navigation, software and purification. Singapore startup Touché launches what it boasts to be the World’s first Biometric Loyalty & Payment Solution platform. Startup Touché CEO Sahba Saint-Claire (right) with CTO German Ruiz holding the Touche biometric payments terminal. Businesses are charged a pre-agreed monthly all-in flat-fee for the solution that includes the hardware, which processes payments through DBS Bank. CEO Sahba shared with me the company’s roll-out plans. Hopefully we’ll see pilot roll-outs in Singapore from February and in Japan from March. Grignoter: This Bordeaux wine restaurant was the venue for Singapore startup Touché to launch its Biometric Loyalty & Payment Solution platform.To the left is Chef Justin in the blue shirt, opposite him is Touche CEO Sahba Saint-Claire. The company now has 23 staff based in Singapore and Barcelona. CTO German briefed me on the state of payments processing in the industry and the standards currently in place and being developed. Sahba tells me that in just 3 months, 50 restaurants, 20 hotels and 5 private social clubs have shown interest in taking up this solution in Singapore; while discussions are being held with the potential partners, departmental stores, malls, technology firms, and retail chains etc. “Recent developments in the built environment sector require a new breed of architectural designers and technologists. We have brought the expertise of two schools – Design and Engineering – together so that the graduates of the new Diploma in Sustainable Architecture & Design can thrive in the future economy. We believe that they will be in great demand in multiple sectors, including architecture, construction, green and smart building development,” said Albert Lim, Director of School of Design, Nanyang Polytechnic. Image credit: Nanyang Polytechnic. The built environment in Singapore is expected to evolve rapidly in the next decade with the Committee on the Future Economy (CFE) identifying areas needing innovations and rethinking the way we use resources, energy, spaces and transport. The first big tech event for the year on the global scene – CES 2017 happens this week in Las Vegas: 5-8 Jan (Thurs-Sun). CES 2017 will have more than 3,800 exhibitors covering 2.4 million net square feet of space. Owned and produced by the Consumer Technology Association (CTA) – CES is expecting more than 165,000 attendees, with more than 50,000 international professionals representing 150 countries. Celebrating its 50th anniversary, CES was first held in June 1967 in New York, with 17,500 attendees and 117 exhibitors. IBM empowers Singapore startup – FreshTurf – with Blockchain and Bluemix for island-wide federated lockers network. Working in the IBM Bluemix Garage, FreshTurf plans to create and deploy unique logistics app with blockchain and cloud. IBM is working with Singapore start-up FreshTurf in the Singapore location of its IBM Bluemix Garage network. “As a startup, we wanted a partner and mentor who would guide us through the journey of adopting blockchain and building with cloud, while also helping us to grow. During the Design Thinking workshop, we had access to technical expertise, consulting and guidance through working with the IBM Bluemix Garage which allowed us to quickly build our concept. The IBM Bluemix Garage’s methods of Design Thinking, use of cloud and agile development practices served as the foundation of our startup,” said Jarryl Hong, Co-Founder, FreshTurf. Using IBM Cloud and Blockchain technologies, FreshTurf has been working with IBM Bluemix Garage developers and designers to create a network of storage lockers for shipping and parcel delivery throughout Singapore. This locker ledger network is designed to help improve the “last mile” of delivery services for consumers and businesses, or the final leg of a package’s journey to a customer’s home. Blockchain is a technology for a new generation of transactions which establish accountability and transparency while streamlining business processes. Fueled by and built on Bluemix, IBM’s cloud platform, IBM and FreshTurf aims to build a distributed ledger platform prototype specifically designed to manage commercial transactions between merchants, logistic vendors, locker companies and consumers. Not only can the application of blockchain technology help provide visibility across the fulfilment chain, allowing users to track their parcel and delivery status from the convenience of their phone, it can help stakeholders to conduct shipping transactions in a highly secure and trusted environment. Samsung Electronics Singapore has announced details of the exchange and refund options for Galaxy Note7 customers. More details have been released by Samsung for Galaxy Note7 users in Singapore, covering the refund value for the Note7, trade-in prices to the S7 Edge, as well as refund for original Note7 accessories. This is in addition to earlier information Samsung Singapore had released earlier. Following the new order by the U.S. Department of Transportation to ban all Galaxy Note7 devices in carry-on and checked baggage on flights, Samsung Singapore has rolled out plans to help Note7 owners in Singapore who need to board flights out of the country. Any Galaxy Note7 owner who will be travelling by flight and require a courtesy device can obtain one from the Samsung Customer Service Centre at Westgate or the Samsung Experience Store at Singapore Changi Airport Terminal 3, in both the departure and transit lounges. Samsung has stopped sales and exchanges of the Galaxy Note7, and has also decided to stop production. Consumers with either an original Galaxy Note7 or replacement Galaxy Note7 should power down and stop using the device immediately, and take advantage of the exchange and refund options. For more information or further assistance, consumers can visit Samsung’s Note7 exchange website or call 1800-SAMSUNG (7267864). This is regardless of whether they had purchased their devices from telecommunication operators, consumer electronics stores, authorised retailers, Samsung Official Store at Lazada.sg or Samsung Experience Stores. Galaxy Note7 customers can choose to either exchange their device for a Galaxy S7 edge, and receive cash and other benefits which will be confirmed shortly, or to receive a refund. Ericsson and Equinix have developed a joint offering for enterprises to reap the true benefits of hybrid cloud and multi cloud adoption. The offering leverages the Equinix Cloud Exchange (ECX) and Apcera platform from Ericsson. The joint offering leverages the Equinix Cloud Exchange (ECX) and Apcera platform from Ericsson. The initial target enterprises will be finance and insurance companies in South East Asia and Oceania to help solve their challenges on data compliance and regulation and at the same time give the agility that enterprises need. Ericsson to provide Apcera Platform to deploy any application, on any cloud infrastructure, at speed, without the risk. Equinix to provide secure high performance interconnections to multiple clouds via Equinix Cloud Exchange. Initial target enterprises will be finance and insurance companies in South East Asia and Oceania to help solve their data compliance and regulation challenges. The finance and insurance industry have strict compliance regulations on data and this brings limitations for them to deploy a multi-cloud strategy. Singapore customers will be able to exchange their Galaxy Note7 for another device, with a refund of the price difference between devices. Alternatively, they may return their Galaxy Note7 for a refund. Samsung Electronics Singapore has announced the details of the exchange and refund options for Galaxy Note7 customers in Singapore. Details here. Here’s what you can do if you own a Samsung Galaxy Note7 smartphone in Singapore. These remedy options for Galaxy Note7 customers in Singapore, follows the earlier advisory from Samsung Electronics Singapore for Galaxy Note7 customers to power down and stop using the device. Consumers can call 1800-SAMSUNG (7267864) for further assistance. The company is in close discussions with its telecommunication operator and retail partners, and details on how Galaxy Note7 customers can go about the exchange or refund will be provided soon.